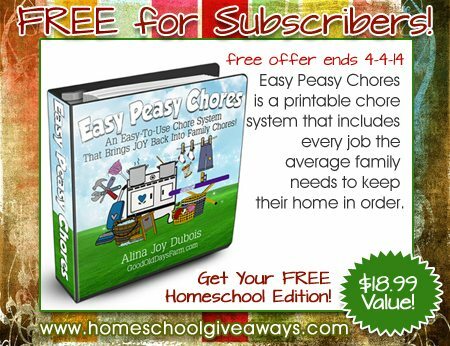 You are here: Home/Homemaking/Homemaking & Parenting Freebies/OVER – FREE – Easy Peasy Chore System: Homeschool Edition $17.99 Value! Best of all, it is easily customizable to meet the needs of YOUR family! AlinaJoy at www.goodolddaysfarm.com created this system. 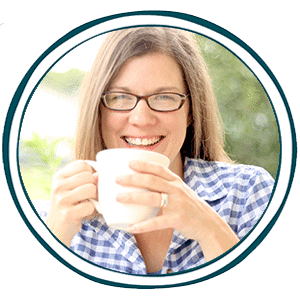 She writes about Homesteading, Health, Homemaking, Frugal Living, Parenting and general Christian Encouragement. Easy Peasy Chore System is: easy to use, easy to set-up, comprehensive, attractive, versatile, and FUN! !